Here's my card. I chose to keep it simple and leave the sentiment off for now. A bit of random colouring, and bit of shadow and it's done. 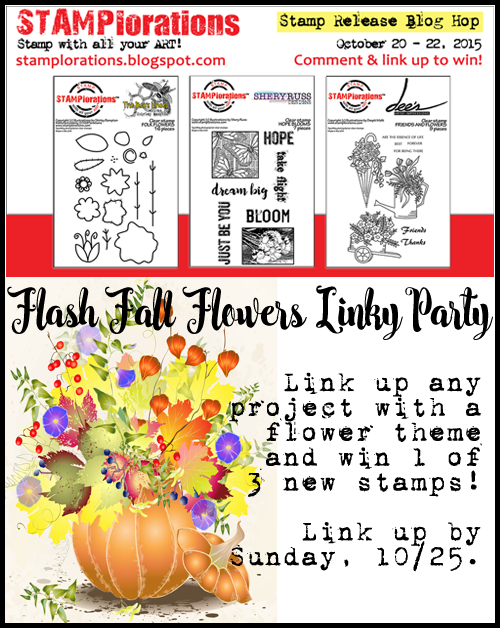 Have a look at all these prizes on offer, and get commenting and join in the Fall Flower Flash Linky Party! 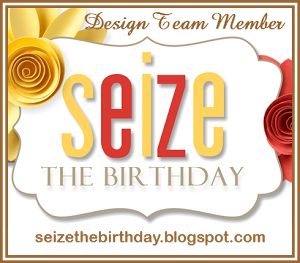 SEVEN (7) commenters randomly drawn from the designers' blogs will each win a $10 gift certificate. 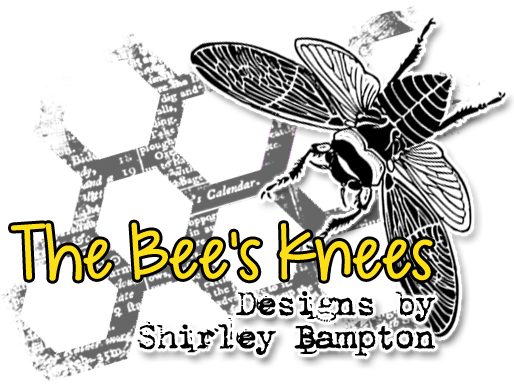 ONE (1) commenter randomly drawn from the STAMPlorations blog will win a $25 gift certificate. 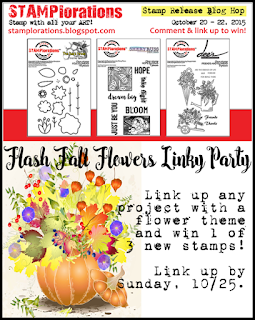 THREE (3) players randomly drawn from the Fall Flower Flash Linky Party will each win a stamp set from the new release. 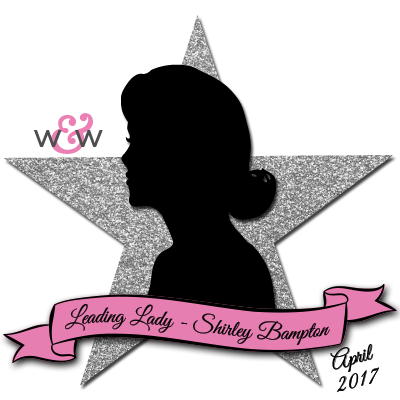 Pop on over to the STAMPlorations blog for some more fabulous inspiration. 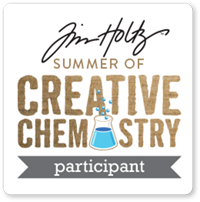 Don't forget to comment at every stop, including this one, to increase your chances of winning! Commenting will close on 25 October, winners announced on 27 October. 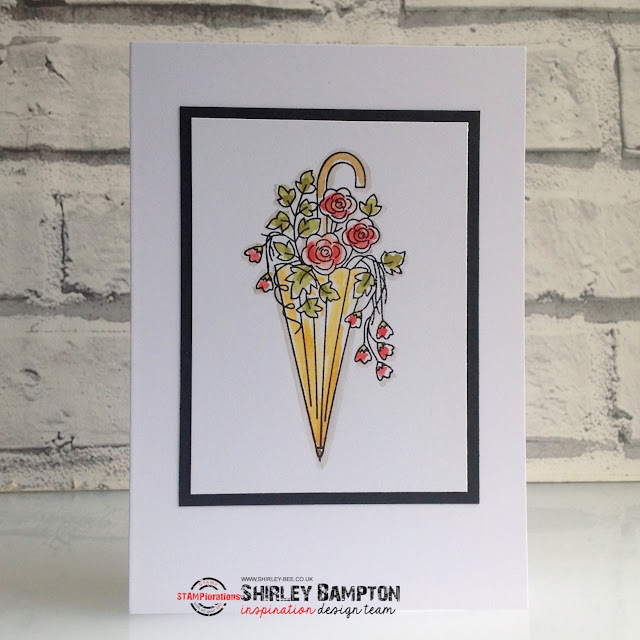 Very pretty - love the umbrella image! gorgeous simple card! I love it!! Sa-weet. Love the random coloring. Your umbrella is on point! Love the flowers inside it and you made a fantastic card!! One of my favorite ways of coloring. Perfectly divine. so beautiful...love your gorgeous coloring. I sure wish that I could 'randomly color' like you do! This is a fabulous image - so versatile! Stunning card! Love the light touch on coloring and your shadows. What a wonderful card Shirley - love the way you have used the frame. Beautiful card!! Simple and lovely!! 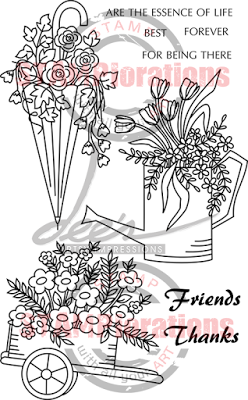 This is truly a great card to show off the gorgeous stamps. 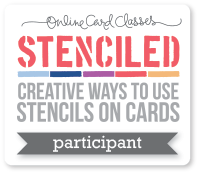 Your colouring is really highlighting the beauty of the stamp, and although it's a small detail, the light grey around the image just really makes the cards bringing it so much depth. 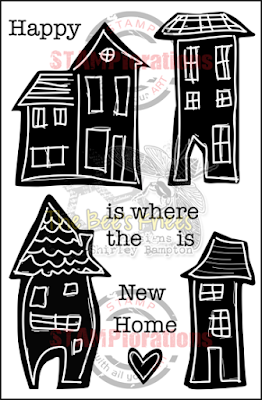 Art Is... A New Stamp Set from STAMPlorations! Is It Too Early For Snow?